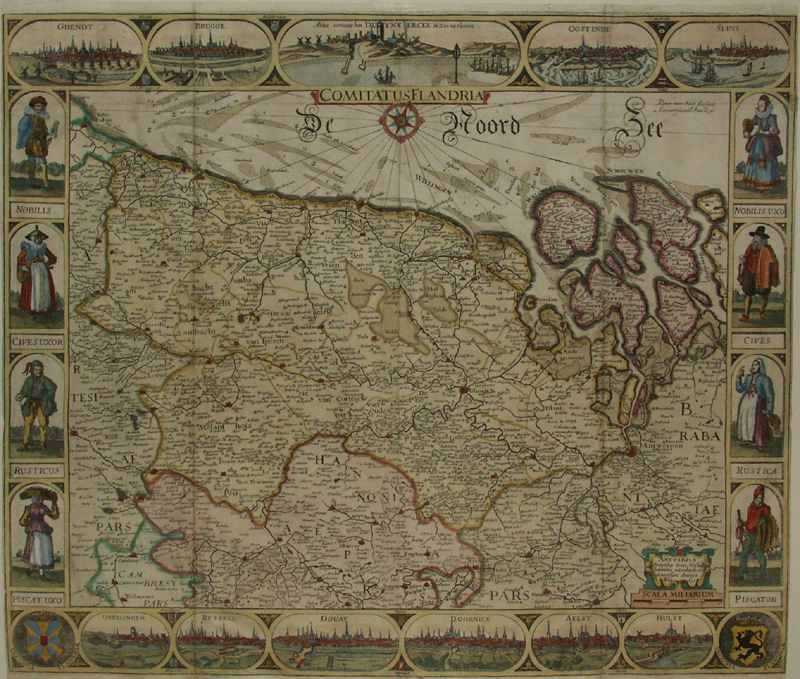 Stunningly beautiful map of Flanders flanked by city views at the bottom and top. On the right custom figures are displayed. Professionally strengthened on the fold, on verso. Verso blank.